Skybound has terminated agreement with Starbreeze for OVERKILL's The Walking Dead as they failed to meet quality standards. Despite having a lot of potential to become a blockbuster release, first-person shooter title OVERKILL's The Walking Dead from developer Overkill Studios failed miserably to become a decent co-op shooter experience that players can enjoy. On top of that, PlayStation 4 and Xbox One versions of the game were delayed twice now and the PC version on Steam wasn't getting any positive feedback due to a buggy launch. All hope is lost now that it has been cancelled entirely after quite a struggle for survival. Loosely based on the fictional universe of The Walking Dead monthly comic-book series from Image Comics by creator Robert Kirkman (Haunt, Invincible), the game were to follow co-op gameplay mechanics of Payday: The Heist reportedly. Initially, they announced the title on August 14, 2014 and showed some concepts at E3 2015. Then it was delayed in 2016, which repeated again in 2017 until Overkill Studios was able to show off the first-look gameplay footage at E3 2018. According to distribution plan, November 2018 was set as the release window for OTWD for all available major platforms but launch date for console versions was delayed to February 2019 and everything starts falling apart from that point. When Sony started sending emails to pre-ordering customers of PSN, it became very apparent that console version of the game very well might have been canned but 505 Games confirmed it to be postponed shortly after that. 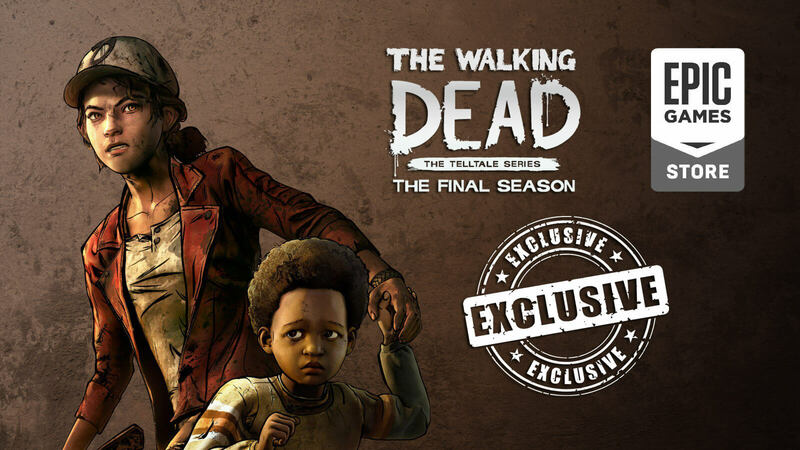 Skybound Entertainment, who is the license and rights owner of The Walking Dead property has took matter into their hands to publicly announce that they are terminating contract with Starbreeze Publishing and will discontinue all efforts regarding OTWD. 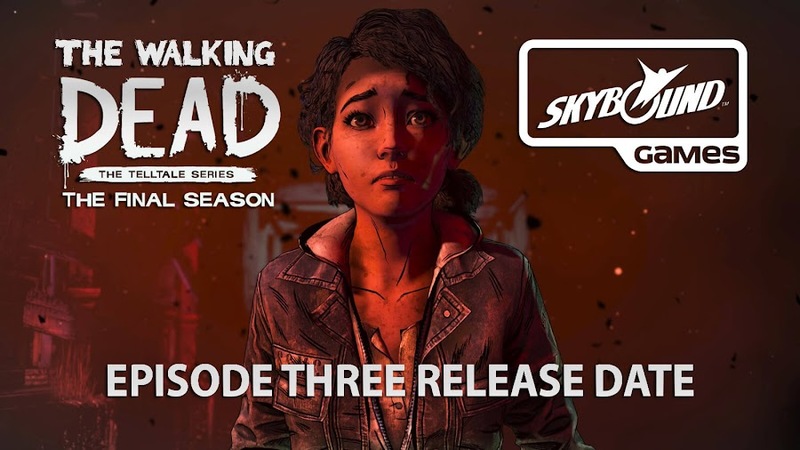 Skybound expressed their outright displeasure for the game not meeting the certain quality of standard they were assured by the Sweden-based developer studio and apologized to fans for not being able to provide premium quality content. People were already pretty skeptical about the future of OTWD and looks like luck just ran out on this one. Earlier, Starbreeze even revealed their disappointment from initial sales number generated from PC version sales mostly due to many in-game issues. Only if Overkill Studios would have taken proper care of the IP, the game could even become the spiritual successor of popular co-op shooter series Left 4 Dead. Anyways, OVERKILL's The Walking Dead is removed from Steam, while PS4 and Xbox One version would not see release either. After speculating cancellation for PS4 and Xbox One version of OVERKILL's The Walking Dead, the game is revealed to be postponed for now. Although developer Overkill Software and publisher Starbreeze Publishing initially managed to make fans curious to their first-person shooter OVERKILL'S The Walking Dead, it saw a poor reception upon PC launch back in November 2018. 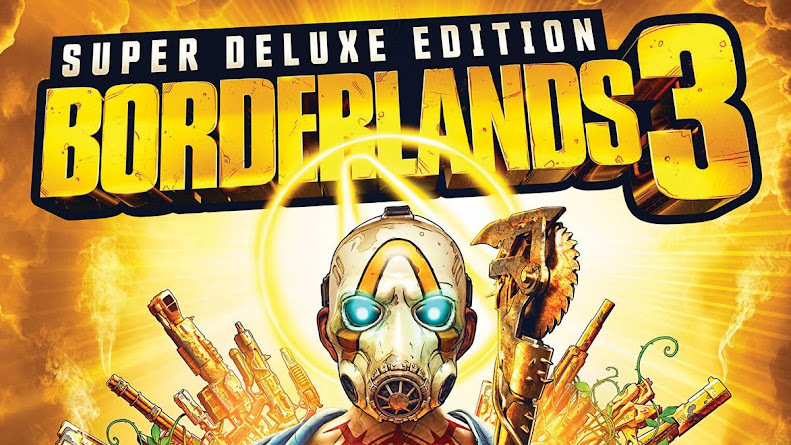 In August, PlayStation 4 and Xbox One versions of the game were delayed to February 2019 but it got delayed again. 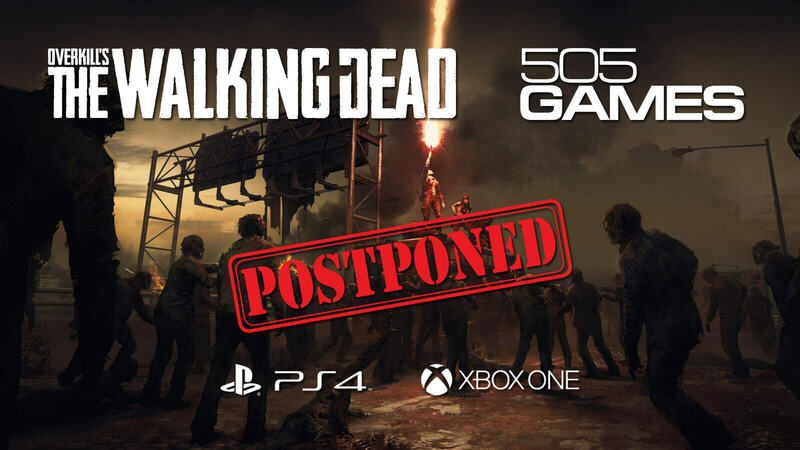 Recently, it becomes apparent that console versions of OTWD have been cancelled, only for an official announcement to confirm later that it has been postponed. Despite the game being a mess full of bugs on PC, many players on consoles were still waiting to get their hands on it but then one PS4 user who digitally pre-purchased it, shared screenshot of a PlayStation Store notice on Reddit, thinking the game has been cancelled. The publisher has notified us that the game is cancelled. As a result, we have withdrawn the current pre-order from the PlayStation Store and will cancel all pre-orders. You will receive a refund to your original payment source within 5-7 business days. Of course, no one would like to get notified about cancellation of a full-priced game that they pre-ordered online and some were patient to wait for 505 Games to respond since players on Xbox One platform did not receive any confirmation as such. Shortly, console publisher of OTWD, 505 Games stated the true nature of the situation on Twitter to clear things out. Presented as a visually stunning product with a gripping co-op experience, it ultimately came out nothing as originally promised. What surprises us most is that, even after the anticipated zombie-shooter was an overall disaster, people still waited for console release anyway. Not only OVERKILL's The Walking Dead was heavily criticized for a buggy release on PC, the game even missed their initial sales target. The disappointing run of the game has made the case of not pre-ordering any game by falling for their marketing campaign. Negan from AMC's The Walking Dead is heading to Tekken 7 at the end of February as a DLC character. 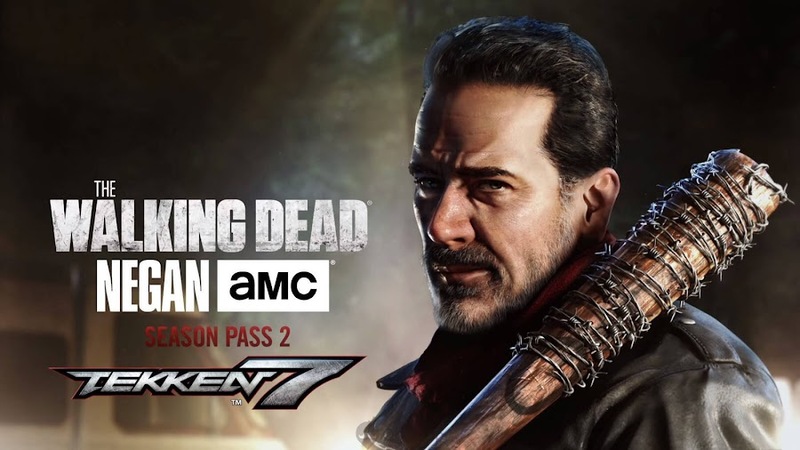 Following the inclusion of Akuma, Geese and Noctis into the roster of fighting game Tekken 7, developer/publisher Bandai Namco Studios is bringing Negan, the tyrannical leader of The Saviors from The Walking Dead to make things interesting. According to a recent announcement from EVO Japan 2019, Negan will be joined by one of the babes of Tekken, Julia Chang as DLC fighters and they both will be arriving on February 28, 2019 for PC, PlayStation 4 and Xbox One. Check out the official DLC character announcement trailer released by Bandai Namco displays brief gameplay bits of the characters. Negan is one of the four guest characters coming to the game, who hail from popular AMC television show The Walking Dead and revealed back in Evo 2018 to join new season of characters as a surprise downloadable content. In the short spanned video above, Negan beats the hell out of his opponents with his iconic barbed-wired baseball bat, swinging it in full force before stopping at game director Katsuhiro Harada asking if he is debuting through next update or not. Designed on the likes of actor Jeffrey Dean Morgan, The Saviors' leader throws some of his lines form the show at his rivals in between his skull-bashing fest. Negan would be a nice treat for both fans of Tekken and The Walking Dead series for sure. Similarly, Julia streams online her entire session of beating down Armor King effortlessly on the same clip. 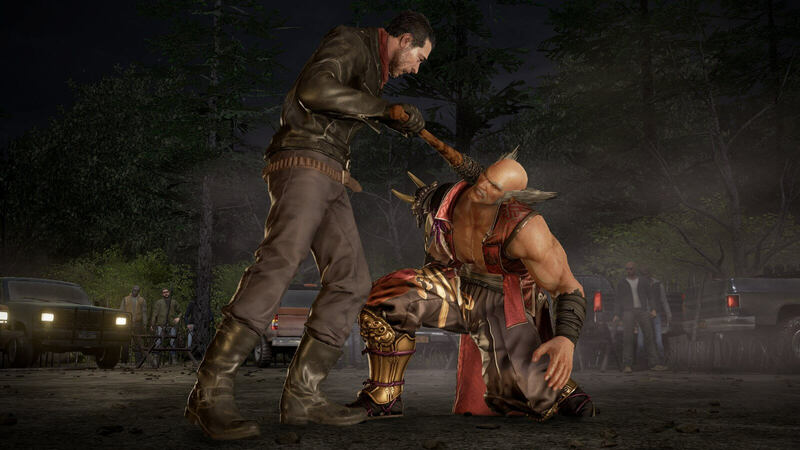 Upon release, players can purchase Julia Chang and Negan respectively for $5.99 and $7.99 only among the other six fighters of Tekken 7 Season 2. Already delaying the launch date for PS4 or Xbox One version of OVERKILL's The Walking Dead to 2019, Starbreeze has now postponed the release. 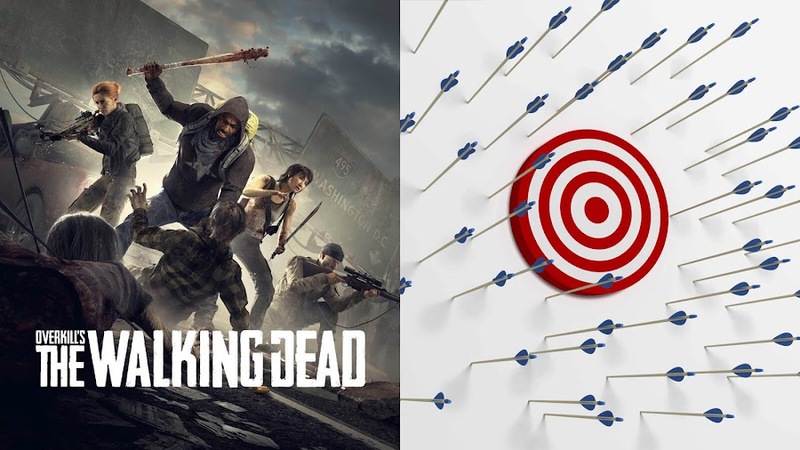 Whenever a new media franchise based on The Walking Dead is in works, it causes an extra hype among fans and same was the case for first-person shooter OVERKILL'S The Walking Dead from developer Overkill Software and publisher Starbreeze Publishing. However, things weren't quite good for them in overall as they had to delay the release date of PlayStation 4 and Xbox One version of the game while only the PC version came out in time, followed by a missed sales target. 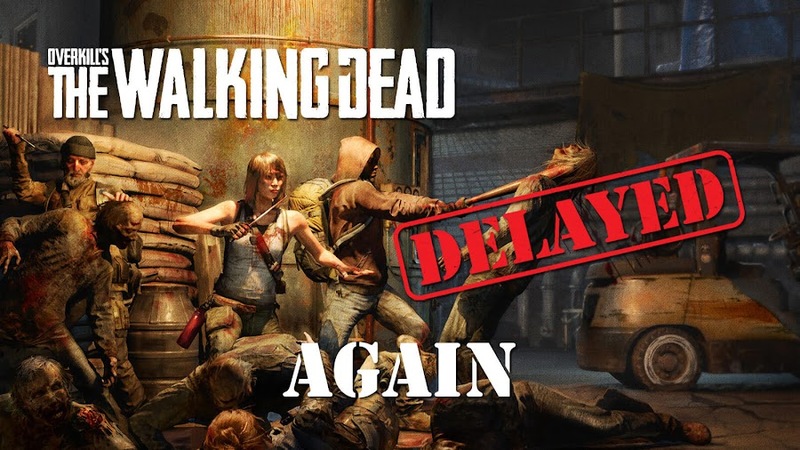 Now the launch date for console versions is delayed again. Originally OTWD was scheduled to release on all three major platforms on November 6, 2018 but only the Windows version came out in due date and release for both Microsoft and Sony consoles got delayed to February 2019. Without detailing much, Starbreeze has recently announced that they are currently evaluating performance of the game on consoles and it was just a brief news release for company investors, so we don't know about the specific reason behind the delay. The project has a long history of delays following its initial announcement back in August 2014 through Payday 2 community page on Steam. They estimated a release date for January 2016 that got pushed to the next year and then November 2018 launch date saw another setback for this year. 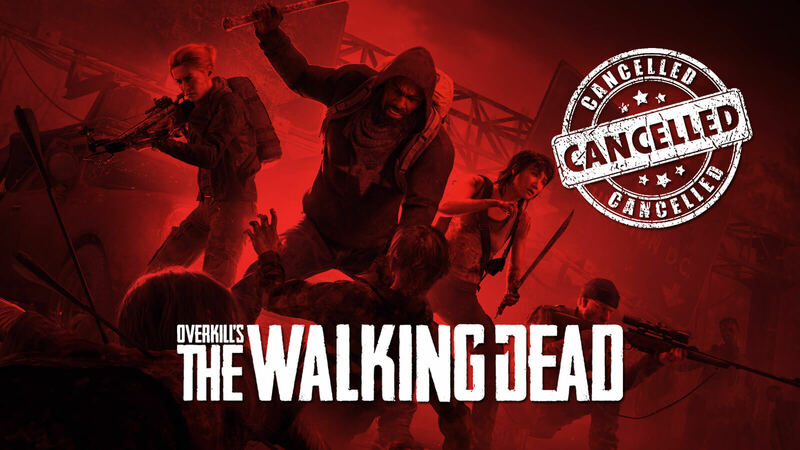 Overkill's The Walking Dead is a co-op FPS title featuring four new characters named Aidan, Grant, Heather and Maya who work together to survive in a post-apocalypse Washington, D.C. from hordes of flesh-eating zombies and hostile marauders. In an investor Q&A, Starbreeze Publishing has revealed that sales figure for OVERKILL's The Walking Dead is lower than expected. Even though fans were eagerly waiting and had a wave of hype going for it, first-person shooter OVERKILL's The Walking Dead from developer Overkill Software and publisher Starbreeze Publishing is seeing disappointing number of sales initially. After the PC edition of the game is launched earlier this month on November 8, players were not seem to be very interested to keep up with the title anymore and CFO of Starbreeze then reveals that the initial sales of OTWD is lower than what they originally expected. 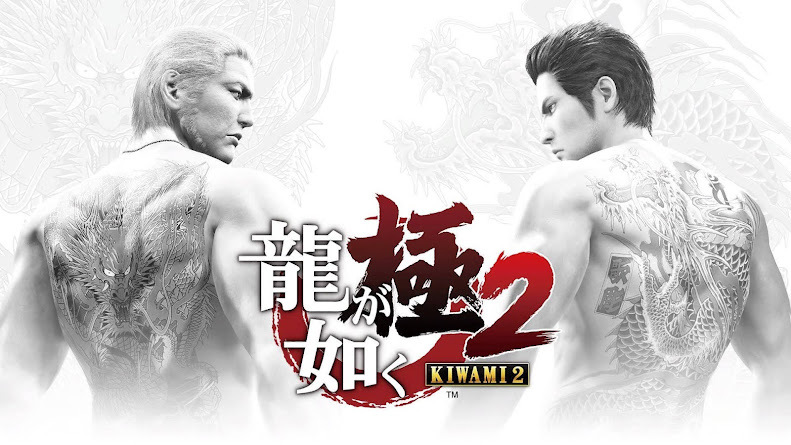 In their recent sales reviewing Q&A, the publisher points out that the title missed the initial forecasted sales mark a week after its launch. PC version is doing poorly in the market because of lack of content as well as quality to be exact. 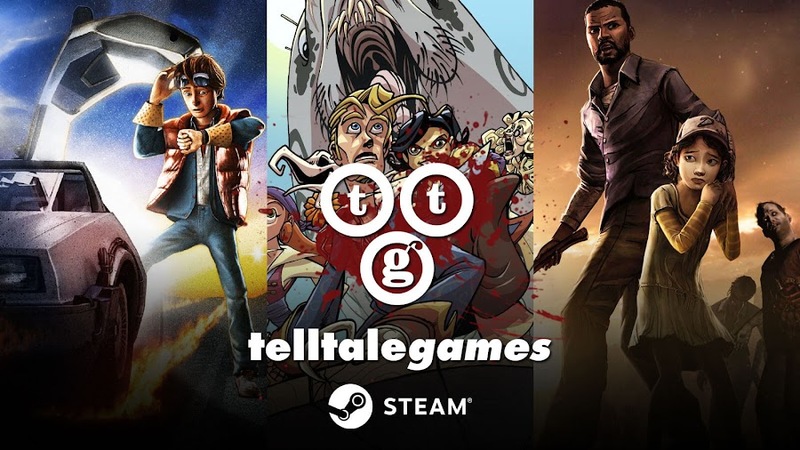 The title is heavily bashed on review-aggregation site Metacritic and many popular gaming sites for design issues, lame AI and connection problems, which is having an overall negative impact on the sales among other reasons. Starbreeze didn't reveal the exact number of games sold but they already are in development of new content for Season 2, coming soon. Of course, it is too early to predict whether the game is a success or a failure, the studio believes OTWD is off to a good start. In this desperate time of financial challenges, the publisher is now focusing on lowering their cost of business operations to save up a considerable amount to run things around. An internal review is ongoing to process that but no specifics were given on that yet. Also, the delay of the release for console versions of the game means, the $10 million licensing fee Starbreeze was about to receive from 505 Games this quarter to bring the title to PlayStation 4 and Xbox One is delayed to February. 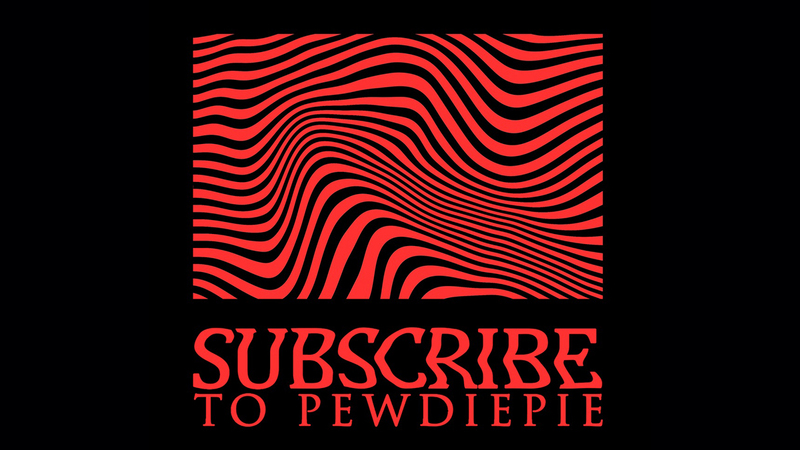 The 2019 console release can turn the financial balance to a slightly favorable position but despite all of the issues mentioned above, the developers and publishers are still okay with releasing the game in its current state only shows that how much they actually care for the players or the game itself. Given their current base of concurrent players, the studio should improve the gameplay framework and performance for a better experience if they really want to follow Games as a Service concept for the foreseeable future. Or perhaps they should go for a better monetization model that works. Although many were comparing the co-op shooter to another survival horror game Left 4 Dead from the same genre, OVERKILL's The Walking Dead is probably not even worth the same standard of a title based on The Walking Dead franchise at all.